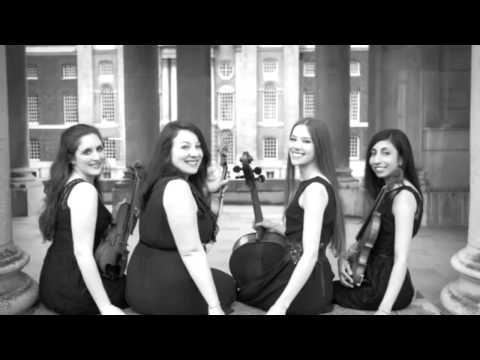 The Camilli Quartet is a London based string ensemble performing both classical and contemporary pieces for weddings, corporate events and recitals. The Quartet has a wide and varied repertoire suited to any occasion, ranging from classical music to arrangements of pop, jazz and film selections, as well as specialising in arranging traditional folk music from around the country. The quartet can work with you to create the perfect programme for your event, and can even arrange your favourite piece of music to make your occasion unique. This stunning band is available to hire in and around London & the South East including, Brighton, Dover, Canterbury, Kent, Guildford, Surrey, The Isle of Wight, Milton Keynes, Oxford, Reading, Slough, Southampton, Portsmouth and Worthing. Sorry, Camilli String Quartet doesn't have any photos right now Send us an enquiry and we'll get back to you, or check out the rest of the act profile. Sorry, we don't have a setlist for Camilli String Quartet yet Send us an enquiry and we'll get back to you, or check out the rest of the act profile.